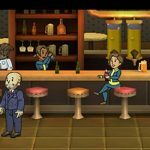 We’ve got yet another Fallout Shelter strategy guide for you, and we shall now be teaching you ways in which you can earn more bottle caps, which is the game’s primary form of currency. 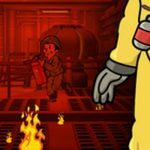 Now, before we get to that, we ought to give you a bit of a backgrounder on the game, just in case you’re joining us for the first time. 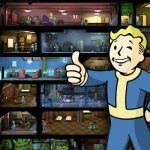 Fallout Shelter is Bethesda’s debut in the mobile space for the Fallout franchise, and it is currently available for iOS devices only. An Android version has been confirmed, but remains TBA as far as a release date is concerned. 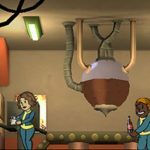 In this game, you can get bottle caps as the primary currency, and this Fallout Shelter guide seeks to suggest some ways in which you can earn more of them. Let’s get to those tips. Rushing, or expediting construction on a room, is one great way in which you can earn lunchboxes and bottle caps, and when it comes to the latter, rushing rooms makes for a good quick fix. With more successful room rushes, your chance of getting more caps increases. However, you have to make sure you’re rushing the right type of room. Check to see if the incident percentage is less than 35 percent, and if it is, you can confidently use the rush command for a room. Otherwise, you’re risking the chance of fires or radaroach attacks. Generally speaking, you won’t be earning any caps when collecting resources, stimpaks, and radaways from rooms. Chances are you may get one or two bottle caps, but on occasion, you may get a whole load of them, perhaps even hundreds of bottle caps. This makes it an advantage if you have many rooms in your vault. Completing the quests is probably the most basic thing you can do to earn yourself caps quickly and effectively. Now most quests won’t really earn you too many bottle caps, but some of them will get you a generous amount of caps; these are traditionally the ones that take quite a while to complete, or have a high degree of difficulty. These quests, as we said in a previous strategy guide, can also get you lunchboxes, and if you unlock one, that could give you bottle caps as well – sometimes, up to a thousand of them! Exploring the wasteland may yield some bottle caps as well. The longer your Dwellers are out and about in the wasteland, the more chances they’ll have of returning with lots of caps, but leaving them out for too long could endanger their health and their lives. Another quick fix solution here is to sell rooms for bottle caps. There is, however, a disadvantage to this, as this will displace the Dwellers that are working there, and you won’t be getting too many caps back for selling the rooms. Still, this could work quite well in a pinch, and so can selling weapons or outfits.